After trying to sell our house ourselves, and then using two other real estate companies to help us sell it (to no avail), we hired Debbie Sonenshine with Coldwell Banker. Although we had interviewed Debbie at the beginning of the process, the two other companies offered to lower their commissions, so we felt the responsible thing to do would be to hire them in order to save money. What a mistake that was! The first company brought in no agents, only curious lookers during open houses. The second company brought in agents, but the agent did nothing to market the property. Finally, after several months, we asked Debbie to come back, and she did so graciously, even though we hadn’t hired her at first. “Debbie Sells Houses” is the correct slogan for this agent. Her calm demeanor and honest approach helped us realize what most home owners who want to sell have to realize…that other people may not see the house in the same light the owner does. She put us at ease, so we were able to see our house in her eyes, instead of just our own. Debbie, along with the two very accomplished professionals who work with her, set a goal of selling our house before the market was glutted with homes in the spring. She marketed our house in every way possible, from newspaper ads to neighborhood internet ads. She stressed the main selling point of the property, and before long, our house had sold! Debbie is the ultimate professional, and we highly recommend her to anyone who is trying to sell a home. I have bought and/or sold seven homes and Debbie Sonenshine was the absolute best Realtor we have ever used. She is thorough, honest, extremely knowledgeable and available. The team she works with are superior in what they do from the woman who stages your home, to the photographer who takes photos and including Debbie’s staff who keep the listing moving along in the process. Nobody in better than Debbie! We both bought a house using Debbie and also sold a house 10 years later with Debbie as our agent. Debbie and her team are knowledgeable and were able to help us sell in a difficult market. I strongly endorse and recommend Debbie and The Sonenshine Team. We put our trust in Debbie completely. We have known her for many years and have used her advice before this purchase. She is very devoted to her work, more than most agents. She found the house we bought after she went back to the office at the end of the day. We went with her that same day to view the house and bought it the next morning. No one had a chance to bid against us. The we needed to sell our condo. She brought in a person at no charge to stage the place. She moved everything around. The home sold in one week at a great price. That is Debbie!! From the onset, Debbie and her team made the process of buying our new home a flawless experience. She is a smart, savvy realtor with years of expertise in the market. I trusted her judgment immediately and appreciated her honesty, integrity and sense of humor. Debbie understood quickly the kind of home we wanted to create and when we found it, her negotiating skills were invaluable. Even after the closing, she has assisted with referrals in Atlanta to make the transition seamless. We have used a number of realtors in past home purchases but Debbie by far has been the most outstanding. If it wasn’t for Debbie’s ability to relate to people, our house would not have sold as fast. Debbie is very personable and assessed potential buyer’s lifestyles and what they were looking for in their new home and emphasized the aspects of our house that would meet those needs. She is friendly and trustworthy and that comes across to buyers. Our buyer told us they had dealt with other selling realtors that they felt were not trustworthy and therefore didn’t want to pursue the house they were selling. They felt very comfortable with Debbie and trusted that she was honest and would be a good person to negotiate with. Debbie really SOLD our house. Beyond this very important skill, Debbie is very knowledgeable about the Atlanta market, from $200,000 houses to multiple million dollar houses. I would highly recommend Debbie as a selling or buying realtor! We had a wonderful experience with Debbie and her team during the process of selling our old home and buying our new one. She and her team were extremely knowledgeable and professional and always had our best interest in mind. We would not hesitate to use them again! We had a phenomenal experience working with Debbie. It is obvious that she has been helping people buy and sell houses for a long time. She was respectful, professional and knowledgeable. We were first time home buyers and she was patient with us and answered all of our questions. There is a reason that she has such a great reputation in Atlanta. She knows what she is doing. Hire her! You won’t regret it. Debbie was so helpful throughout or home buying experience. We started out not knowing what we were looking for and Debbie was patient, knowledgeable and always accessible. She is honest and she always looked out for our best interests. We highly recommend Debbie! Debbie was very knowledgeable of the community. Debbie walked us through the entire new home process in Atlanta. We love our home. Thank you Debbie! Debbie and her team did an amazing job of helping us sell our home. From initial consultation, through staging and marketing, to final negotiations and closings, Debbie’s team exceeded our expectations. We highly recommend her services to anyone who might be thinking of buying or selling a home. Debbie and her team worked incredibly hard to sell our home. They were knowledgeable, patient, very attentive, and went above and beyond to get our home sold quickly and for the best price. We highly recommend them! Debbie and her team are the best of the best. I put my house on the market with The Sonenshine Team after it had already been on the market with another agent for 2 months. She markets to so many people. I had two above asking price offers within 48 hours of her listing my house. They are an honest team and I would highly recommend them. She has now helped us with buying our new home. Everyone told me that my house would be a snap to sell. After all, it was in a prime neighborhood, on 2 acres, in an area where so many homes were being replaced with mega-mansions, and realistically priced. And then the economy went sour. There no buyers, no money, and few loans available. But you were diligent. You kept promoting and showing my house. You placed numerous ads (with pictures) in various publications. You had several caravans come through the house. And when you found a potential buyer, you were tenacious. But frankly one of the most important parts of your professionalism was that you continued to come up with innovative ideas to put the house out there… different ideas in pricing, financing, showing, and refurbishing the house when it needed it. And you didn’t stop there. You maintained incredible professionalism (read this as “composure”) when potential buyers or their agents made absurd requests or demands. You stood firm when we needed to do so, but were painfully honest with me when that was also called for. And when we finally were fortunate enough to get a decent contract, you continued to be hands on with advice on the needed repairs, inspections, closing, etc. You are truly a full-service agent and friend. You kept me calm and, most importantly, kept me real. And you were always available for my calls and concerns. Thank you so much for your time and all of your efforts. My best to the rest of the team. They all certainly deserve some of the credit for “our” success. The Sonenshine Team was very professional at every turn of the process of selling my residence. They had answers to all my questions and offered advice on what was needed to do to my house to get ready to put it on the market. I do not hesitate to recommend Debbie and her team for your residential real estate needs. Dear Debbie, Thank you so much for all your hard work in helping us find the perfect home right from the start, there was such a sense of security knowing that you are not only a top-notch professional, but a friend we could fully trust. Thank you again for taking such good care of us! Debbie is the hardest working woman in real estate. Combine her dedication with deep knowledge of the residential real estate market, add a sparkling personality, and you get a terrific real estate agent. She is a joy to work with and gets great results. I just wanted to take some time to email you to let you know that Debbie Sonenshine had represented us and the sale of our house in Dunwoody. We had a wonderful experience with Debbie and her team. She was very experienced and her team, was very responsive to our inquiries and correspondences. Debbie is definitely someone who we would recommend for transactions in real estate. It was no surprise to us that she would provide the services we expected as her name was mentioned to me in several different circumstances by different references. We truly appreciate Debbie and her team and their efforts in getting our home sold in a smooth transaction! People with your integrity and high level of professionalism are hard to find. We count ourselves very blessed that we were partnered with you to find our new home. Debbie was instrumental in selling our home both quickly and at our listing price. We were very pleased with her attention to detail and tremendous network, which resulted in a high level of traffic within the first few days of listing. Debbie and her team made sure we had access to all necessary resources while searching for and eventually finding our new home. In the end, we were very pleased with our experience with Debbie and will recommend her to others. You made the entire process, which could have been stressful and crazy, quite smooth and seamless instead. Debbie and her team went over and beyond what was expected to list and sell our house in a slow real estate market. Debbie and her team were always professional and proactive. I am certain our house would not have sold in the timeframe and price with a different agent and team. I will definitely use them again when the opportunity arises. I highly recommend using Debbie and her team for listing or buying a property in the Atlanta area! Debbie does not sell real estate. She provides Real Estate solutions…..She is a shrewd negotiator on your behalf…If you don’t deal with Debbie on Atlanta Real Estate you are making a mistake…. Being a former real estate agent and a real estate appraiser, it was initially hard for me to see the reason for hiring a listing agent. In fact, we did try to sell our home by ourselves but in the end we didn’t. Debbie’s intuitive negotiation sense of what you should give up and what you shouldn’t saved us thousands and we were under contract in seven days…All this and we really liked working with her. Debbie Sonenshine was recently recognized at the Coldwell Banker International Business Conference in San Francisco. Before an audience of 10,000 Realtors, Bruce Ziff president & CEO said “What drives successful people is their underlying belief system and their personal integrity.” He cited Debbie as exemplifying leadership by giving back to the community through her work with the Genesis shelter, Magen David Adom, Susan Komen Breast Cancer Foundation and the Coldwell Banker Cares Foundation. 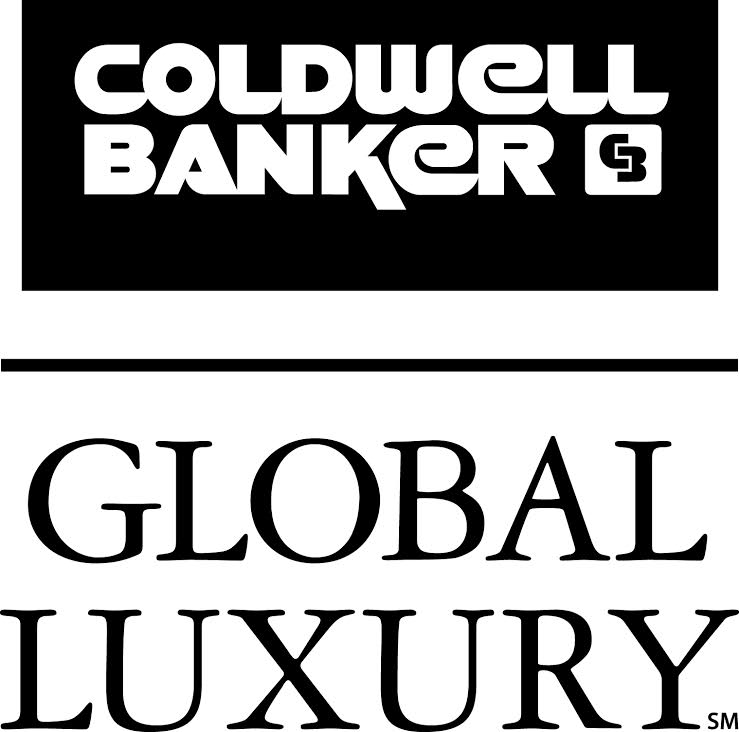 Debbie also received the Coldwell Banker President’s Elite award for placing in the top 1% of agents in the world. See comments from other happy clients at Linkedin.com.